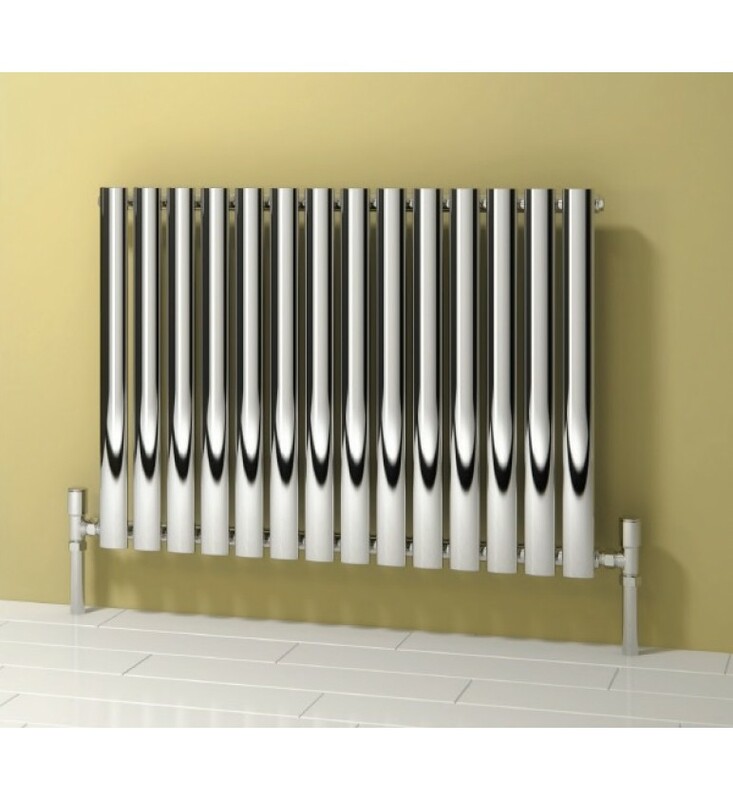 A Range of 5 Neva horizontal and 3 vertical radiators with Chrome finish. The vertical range can be mounted both horizontally and vertically. Range: Single column sizes 550H (5 widths) and 1800H (3 widths). The vertical radiator can be mounted horizontally if required. Pipe Sleeves: Width + valves, and 47mm from wall.